Meet Luca, a curious young boy living with his mother, a taciturn woman who "every now and then tries out a new father." Luca keeps to himself, his cat, Blue, and his words--his favorite toys. One February morning his mom doesn't wake up to bring him to school, so Luca--with a father who's long gone and driven by a deep fear of being an orphan ("part of you is missing and people only see the part that isn't there")--decides to pretend to the world that his mom is still alive. Luca has a worldly comprehension of humanity, and grapples with his gruesome situation as the stench of the rotting body begins to permeate his home. Ultimately, we are witness to something much more poignant that needs no translation: the journey of a young boy deciding--in a more devastating manner than most--to identify himself independently, reaching the point at which he can say: "I am no longer an orphan. I am a single human being. It's a matter of words." Do you enjoy books that reach into your chest, tear your heart out, throw it onto the floor, and then stomp on it a few times? If so, you have to read The First True Lie. Luca is one of my new favorite narrators. He's intelligent and lively and you'll want to take him under your wing. I've never read anything quite like this. It's superbly written. It's incredibly vivid. It's not to be missed. 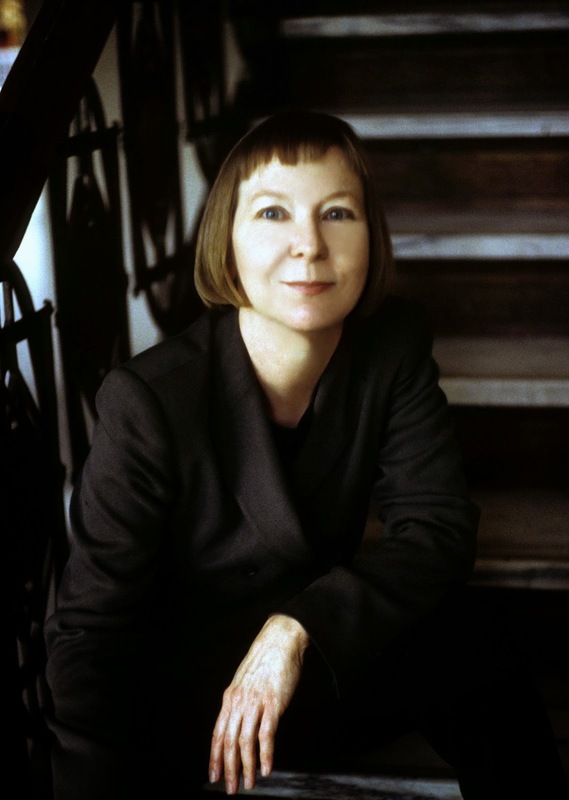 These three elements—a ship found sailing without a crew, a famous writer on the verge of enormous success, and the rise of an unorthodox and heretical religious fervor—converge in unexpected ways, in diaries, in letters, in safe harbors and rough seas. In a haunted, death-obsessed age, a ghost ship appearing in the mist is by turns a provocative mystery, an inspiration to creativity, and a tragic story of the disappearance of a family and of a bond between husband and wife that, for one moment, transcends the impenetrable barrier of death. If you've hung out here on a regular basis you know that I love historical fiction. I especially love historical fiction that is based in truth. This was one such book. There really was a ship called The Mary Celeste and it really did disappear. This was the sort of book that made me want to look things up and learn more about the topics it contained. That makes me a very happy reader. The problem I had was with the way the story jumped around. It moved back and forth in time and from one set of characters to another in a way that felt disjointed. That's more of a quibble really. I would recommend this to any fan of historical fiction. Have we all sunken into a species-wide bout of clinical depression? 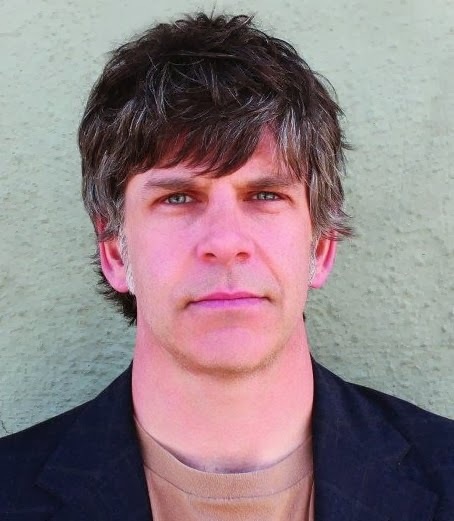 Porter’s uproarious, intelligent debut centers on Raymond Champs, an illustrator of assembly manuals for a home furnishings corporation, who is charged with a huge task: To determine whether or not the world needs saving. It comes to him in the midst of a losing battle with insomnia — everybody he knows, and maybe everybody on the planet, is suffering from severe clinical depression. He’s nearly certain something has gone wrong. A virus perhaps. It’s in the water, or it’s in the mosquitoes, or maybe in the ranch flavored snack foods. And what if we are all too sad and dispirited to do anything about it? Obsessed as he becomes, Raymond composes an anonymous survey to submit to his unsuspecting coworkers — “Are you who you want to be?”, “Do you believe in life after death?”, “Is today better than yesterday?” — because what Raymond needs is data. He needs to know if it can be proven. It’s a big responsibility. People might not believe him. People, like his wife and his boss, might think he is losing his mind. But only because they are also losing their minds. Or are they? Reminiscent of Gary Shteyngart, George Saunders, Douglas Coupland and Jennifer Egan, Porter’s debut is an acutely perceptive and sharply funny meditation on what makes people tick. If you read the reviews of this book on Goodreads you'll see a few "What in the hell?" and "I didn't really get it." sort of comments. I said the same things while I was reading Why Are You So Sad. But I was saying it in a delighted and giggly sort of way. It's definitely a strange book, but it's strange in a smart and clever way. My heart went out to Luca just reading the summary of The First True Lie. That sounds like an awesome book. Why Are You So Sad sounds quite funny but also worthwhile (not that funny can't be worthwhile--it often is). I'm glad you enjoyed it. Oh, Luca! He's something else. I really loved his narration. The First True Lie just made it on to my wishlist. It definitely seems like one of those books that can pull at your heartstrings. Also, I'm a sucker for books narrated by children - they always seem to have a unique way of story telling. Yes, Jade! I'm the same way! I wish Scout from To Kill a Mockingbird had narrated 100 books :) Love that kid! I've read two of Valerie Martin's novels and was in love with them both so this one is going straight onto my wishlist. She seems to have a real talent for creating brilliantly rounded characters. The First True Lie also sounds heartbreakingly wonderful. The First True Lie...sob sob sob! The Ghost of the Mary Celeste sounds interesting! I haven't seen any of these books. Thanks for the introduction. That's a good way to put it...that poor, poor kid! I think Why Are You So Sad? is a love it or hate it kind of book. I liked it, but I like satire and I found the deadpan voice to be hilarious. If you can't laugh about it, you'd want to cry and that wouldn't be any fun. I'm skipping over The First True Lie because I don't think I can handle it right now. Maybe in June, when my mood is not so bleak. Stupid winter. The First True Lie is the last thing you want to read if you're down in the dumps. Unless you want a giant cathartic cry! 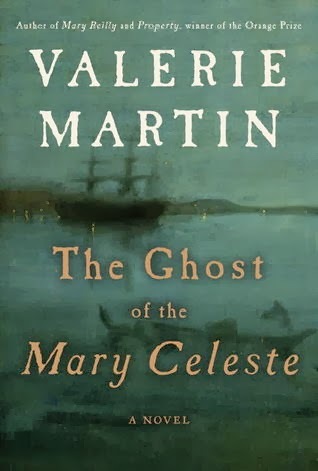 I really liked Mary Celeste--like you I love fiction (historical and not!) based on real events. I'm also eager to read The First True Lie. I hope to squeeze it in this weekend. We seem to have similar tastes :D I dig that. I can't wait to hear what you think of The First True Lie! I'm sorry Mary Celeste didn't work out better for you. I might pick it up and try it closer to October. But jumping around can drive me cray. Cray! The first one sounds amazing but oh so sad so I don't know if I'll pick it up anytime soon. The second one sounds fascinating. I read a little bit about that ship a bit ago. I think I'd really like it! The third one...if it's too clever for its own good I don't know if I could really get into it. Probably not on my list. They all sound fascinating, though! I've been waiting to see your review of The First True Lie, I'll be reading blogs tonight and I'll be sure to check it out! 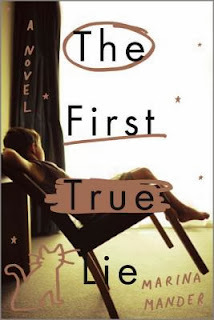 Definitely want to read The First True Lie! Especially to see this narrator love you speak of! And my post for Why Are You So Sad? goess up tomorrow. I'm going to link this post to it. I am one of the people going "What the heck?" Satire is not my thing,..
Well, geez, now I totally have to get my hands on Why Are You So Sad? It sounds right up my alley! I love being the one saying those things, but for the complete opposite reason everyone else is saying them!!! I hope you do, and I hope you dig it! 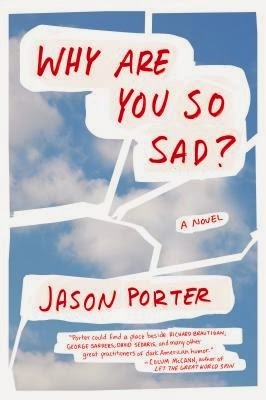 I think Why Are you So Sad will get a lot of mixed reviews. I liked it, especially the surveys, but i can see that it would leave a lot of people thinking what the hell? ohhhh now I want to read Why Are You So Sad? !!! The Ghost of Mary Celeste sounds good. I love nautical stories. I think I've heard of the Mary Celeste. Would be interesting to read something about it. wow, now I must read The First True Lie. Why Are You So Sad also sounds like an interesting one. I hope you do read it, Naida. It's a heart breaker...but a good one! The Mary Celeste held a brief fascination for me as a child. I didn't realize at first, as I read the blurb, that Ms. Martin's book is a novel rather than a historical investigation. I don't know that anyone has ever solved what really happened, but it sounds like Ms. Martin was as intrigued by the mystery as I was. I think I'll see if my library has a copy. 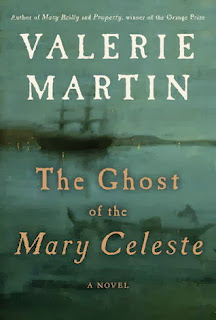 I think I would enjoy The Ghost of the Mary Celeste, seeing I'm a sucker for historical fiction! The first true like looks really good; I'm going to add it to my list seeing how much you enjoyed it!